NCI Inc. has named Brad Mascho chief artificial intelligence officer, a new position leading a new corporate division focused on AI initiatives and strategy. The new business unit aims to accelerate, automate and augment repeatable processes for NCI’s customers, quickly turning data into actionable intelligence, NCI said. The focus on AI is part of NCI’s mission to bring commercial innovation to missions of national importance, according to CEO Paul Dillahay. Before joining NCI, Mascho co-founded CrossChx, a Columbus, Ohio-based company that uses AI to automate repetitive, high-volume tasks and workflows for health care clients. CrossChx attracted nearly $50 million in venture capital and quickly expanded to more than 100 employees under Mascho’s leadership, and was named to Columbus Business News‘ list of best places to work for three consecutive years. NCI established a strategic partnership with CrossChx last year to provide new AI solutions for federal customers. NCI launched seven pilots in August 2017, using the CrossChx AI platform to provide proof of concepts across areas such as fraud, waste and abuse, cybersecurity, machine-to-machine communication and patient care coordination, NCI said. Mascho’s past work includes tackling significant challenges in health care such as the opioid crisis and global identity resolution, NCI said. 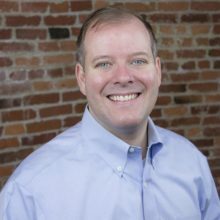 Before founding CrossChx, he spent a decade in Washington, D.C., as an adviser to several members of Congress and as an executive at a leading insurance association. Mascho will remain on the CrossChx board of directors after the move. NCI will also showcase its AI, machine learning and data matching solutions at the HIMSS18 Annual Conference & Exhibition, taking place March 5-9 in Las Vegas. The company will show attendees how the company is using AI to help federal customers tackle fraud, waste and abuse, the opioid crisis, administrative workflows and more.